M4 Electro Mechanical Slider - Venture Mfg. Co. The M4 Electromechanical Slider is another Byan Systems Inc. product offered by Venture Mfg. Co. The slider is designed to provide smooth, fast, and flexible gate movement for light and heavy sliding gates. 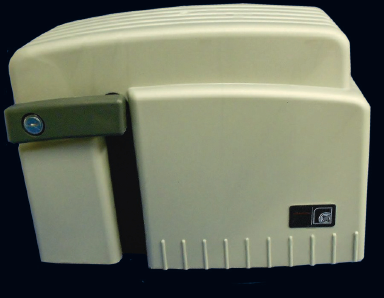 As the authorized distributor of Byan Systems Inc. gate operators, Venture Mfg. Co. provides the M4 Electromechanical Slider with various beneficial features. The design of the slider is compact, allowing for easy installation and use. The slider provides a quiet operation, which is highlighted by soft starts and stops. A rack and pinion system provides fast and smooth movement in an application. The slider is provided with a board and rack when sent for customer delivery. It consists of a built-in processing board, and a built-in radio receiver. The slider has push buttons that are used to program the movement, speed, etc. It is also capable of remembering the previous program inputs, thus preventing any need to reprogram the device. A beneficial feature is the programming of the slider to slow down the movement when opening and closing a gate. All Byan Systems Inc. products provided by Venture Mfg. Co. are ETL listed and comply with the latest requirements of UL325. The M4 electromechanical slider is capable of meeting various gate-sliding requirements, from private residences to commercial applications. If you would like to buy our products then request a quote today , we will get back to you as early as possible.